The Tuya Dimmer is usually a 1 gang dimmer that dims mains voltage to various lighting types; incandescent, CFL, and LED. Consult the specific device for what type of bulbs and capacity it supports as well as the bulbs themselves to verify they support dimming. 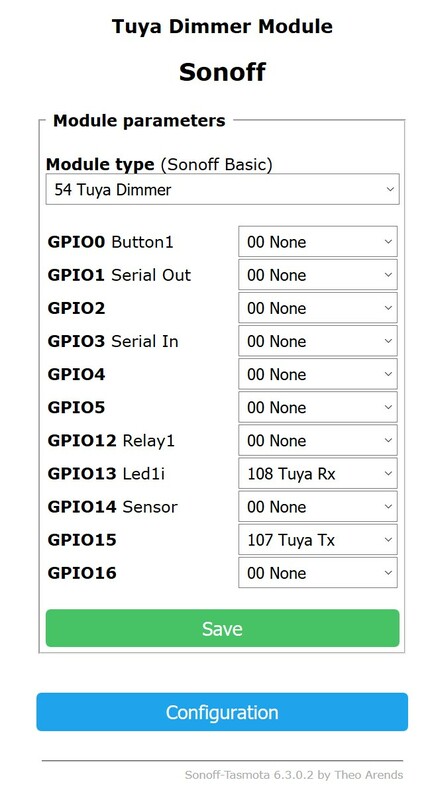 As of version 6.2.1.16 Tuya Dimmer support was added as a device type. There are several Tuya Dimmer variants by various manufacturer. 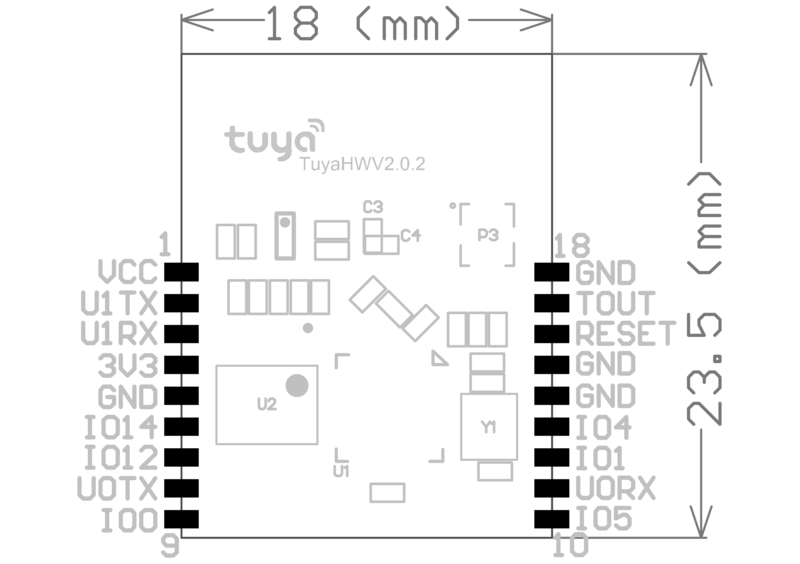 The Tuya module uses is a standard TYWE3S. Once the switch is carefully popped open you will need to remove the ribbon cables for flashing and ease of soldering. An easy soldering method is to take several dupont style jumper wires, cut one end off, and apply a bit of solder to each stripped end. This will keep the wire flexible and prevent any circuit board pads from ripping off like seen in pictures using male jumper pins. Apply a bit of solder to each pad necessary to flash (do not get them backwards, double check your pin outs). Once the wire and pad have solder simple put the two together and apply a bit of heat and they will pull together. Attach the GPIO0 wire to ground during initial boot to flash. A 3 pin header bridged together works great with GPIO0, GND and the GND from the USB flasher attached. 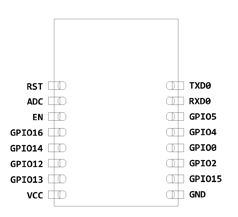 (TX pin to RX pin and RX pin to TX pin on USB flash adapter). 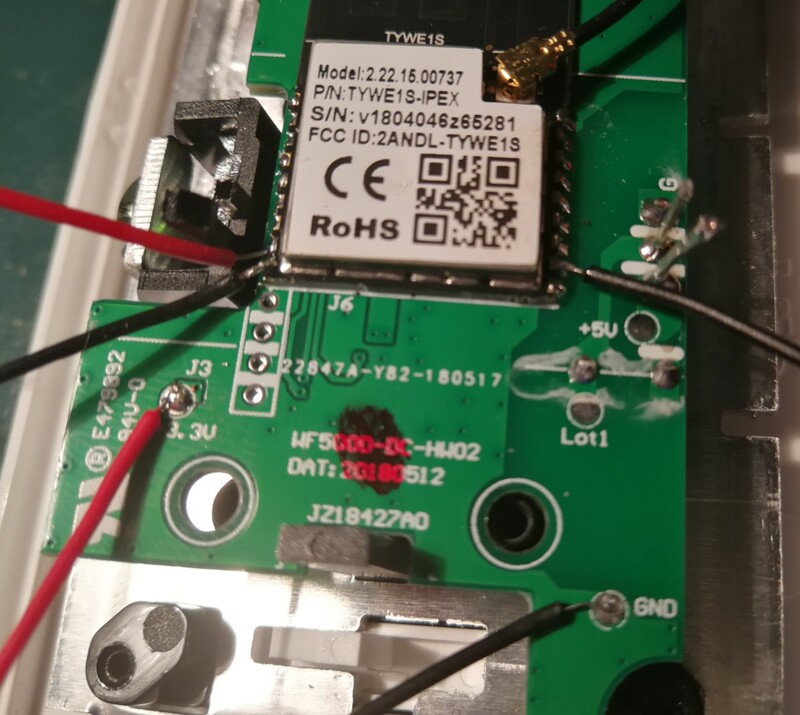 Verify that you are using 3.3volts to flash, NOT 5V! The procedure is similar to above, additionally NRST must be connected to GND during flashing. The CE dimmer uses TYWE1S module. 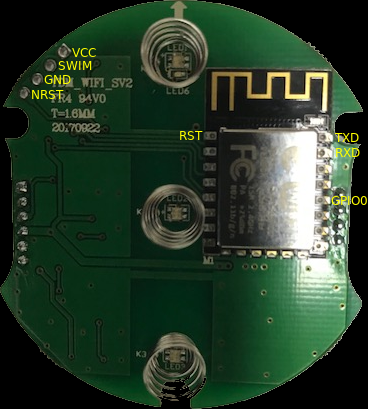 And it uses U1TX (GPIO15) and U1RX (GPIO13) to communicate between ESP8266 and MCU, no other GPIO is used in this device.